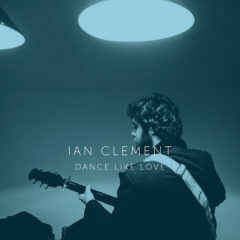 Today, Ian Clement (BE) released his new single Dance Like Love. This is the second single of his upcoming solo album, which was announced earlier this year by the release of first single Hardly. The new album of the frontman of successful band Wallace Vanborn will appear early 2019 via Dox Records. Ian’s inspiration for this new single came from a dancer who, with her movements and energy, managed to bring the lyrics of his upcoming album to life. You can listen to Dance Live Love now on all streaming and download services. The album See Me In Synchronicity will be released February 22, 2019. Ian will be touring the Netherlands and Belgium in the coming months.